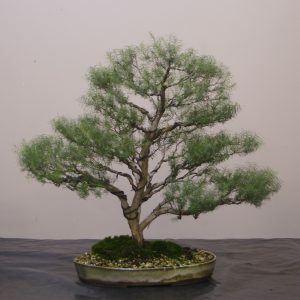 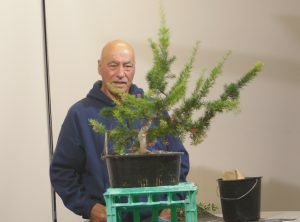 Our April meeting featured a review of a number of trees which have either been won by club members in raffles at our meetings, or which have been passed on to them from others, over the past three years. 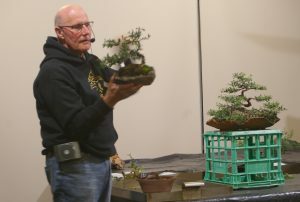 In many cases, these trees were taken on while they were still in very early growth stages, and the range of species reviewed was quite diverse. 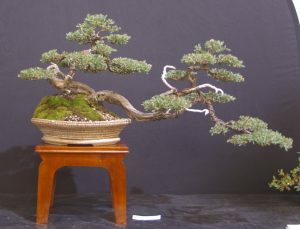 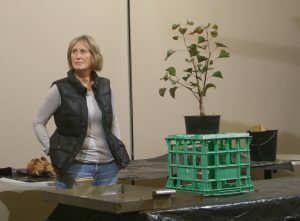 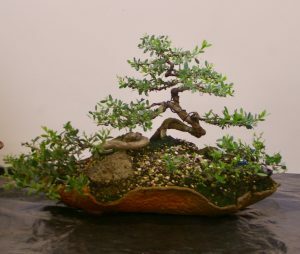 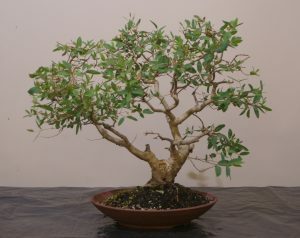 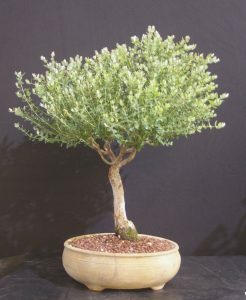 Of particular note, it is evident that the fast growth rate characteristic of many of these native species has enabled growers to develop bonsai with very interesting structure relatively quickly. 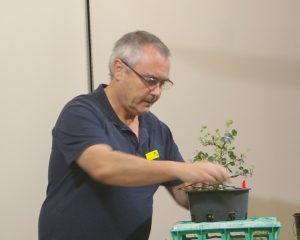 The range of species covered in the presentations and discussions included Callitris oblonga, Eucalyptus wimmerensis, Eucalyptus goniocalyx, Leptospermum laevigatum, Leptospermum petersonii, Leptospermum scoparium, Banksia integrifolia, Grevillea rosmarinifolia, Brachychiton “Small Leaf Paragon”, Leucopogon, and Allocasuarina littoralis.